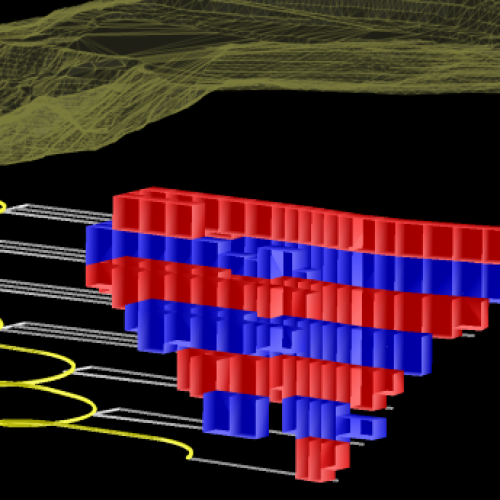 GeoMine uCAD (uCAD) is an advanced CAD tool for underground mine design. It features one of the most productive 3D CAD interfaces, which is only made possible by a powerful command stack and a concurrent, non-blocking command dialog paradigm. uCAD includes a set of tools that are purposely engineered to boost mine designers’ productivity. 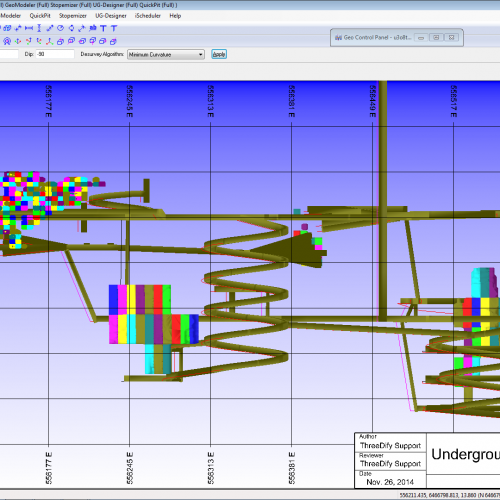 With uCAD, creating an underground mine layout is no longer a tedious task as with generic CAD packages. Interactive editing of level development layout. Automatically creates meshes from design center lines and/or level development layouts.